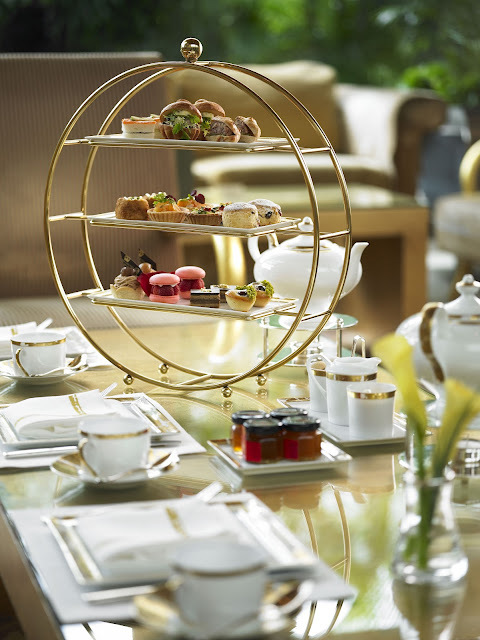 Chelsie : Singapore definitely has the 'wow' factor when it come's to designing an afternoon tea! Kate and I are daydreaming from across the waters about experiencing this afternoon tea! The afternoon tea has a grand total of eight courses, and a blissful display of cakes assuring you will leave leave fully satisfied! This afternoon tea is available in the afternoon on weekdays in the charismatic Chihuly Lounge. Kate: To put it quite simply- I need to try this! This afternoon tea looks almost too pretty to eat! I can honestly say I don't think I have been to a tea experience quite like this in terms of the vast options, care, design and beautiful setting. This afternoon tea is really special, and if the description is anything to go by this afternoon tea is simply unmissable for anybody looking for a great experience! To start this afternoon tea experience, a refreshing tea mocktail is served with crackers with XO chilli sambal. The beverage line-up concludes with a tea ceremony offering an assortment of fine teas, served on an elegant chic ‘Feuille d'or’ line of Bernardaud Porcelain imported from France complements the experience. There is a extensive range of over thirty loose leaf teas ranging from the Ronnefeldt tea collection. Some of the citrus-flavoured teas features include Morning Star and Roibosh lemon. There are also flavoured black teas available such as “Wild Cherries” and “Rose Tea with Petals”, and fruit-infused teas “Raspberry Royal” and “Strawberries with Yoghurt” to name but a few. There are also options for guests looking for a burst in their afternoons as the Ritz Carlton offers freshly-brewed or decaffeinated coffee. The third course consists of beef Wellington, horseradish cream and port wine jus or Salmon Coulibiac with sauce Gribiche (rotated weekly) these are presented to guests on the carving station trolley. Also competing for your attention is the three -tier spread offering guests delicious homemade scones, sandwiches, bite-sized savouries and pastries. Highlights include avocado and cream cheese in whole meal finger and cucumber, parma ham on olive baguette, pistachio macaroons as well as chocolate praline tarts and strawberry puffs. The indulgence continues with berries accompanied with Bora-Bora Vanilla Cream followed by a Sorbet bursting with Raspberry, Mango or Passion Fruit flavours which gives guests a clean palette as a prelude to desserts.Ending the extravagant afternoon tea experience is a sweet selection of tea cakes, cookies, kueh lapis and assorted pralines! Afternoon tea indulgence at Chihuly Lounge is sweetened with delectable éclairs for the Summer Weekend Afternoon Tea (2nd June to 26th August 2012). 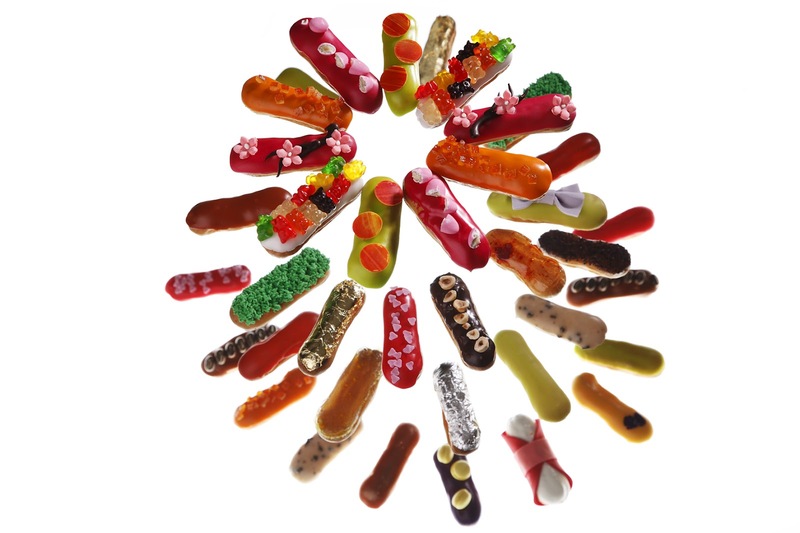 Executive Pastry Chef, Terence Pang elevates the classic choux pastries to new unpresidended heights with 12 creative variations including Cotton Candy Éclair and Gula Melaka Éclair. Guests can also enjoy an assortment of scones, sandwiches and petit canapés which include Smoked Duck with Vanilla Rhubarb Chutney and Goose Liver with Pear & Fig Jam. Mondays to Fridays, 2:30 to 5 p.m.
HAVE YOU HEARD? : The Ritz Carlton's restaurants, and food and beverage options has been voted by readers of Travel and Leisure as “The Best in Singapore”. HOTEL FACTS: The Ritz-Carlton, Millenia Singapore is a 32-storey luxury hotel located in Marina Bay, next to the Esplanade – Theatres on the Bay. The hotel is set amidst seven acres of tropical landscape, with all guest rooms and bathrooms offering views of either Marina Bay, Kallang Bay and the city skyline. The services and facilities available at the Ritz Carlton include restaurants and a lounge serving Chinese, Western and international favourites. There is also a fitness centre with a swimming pool, indoor gym, a tennis court, beauty treatment rooms and a business centre.